It is true - many people and companies have been involved in the support of Oklahoma’s pork industry and the Oklahoma Pork Council, however, few have been as dedicated in their support of Oklahoma’s pork farmers as QC Supply of Holdenville. 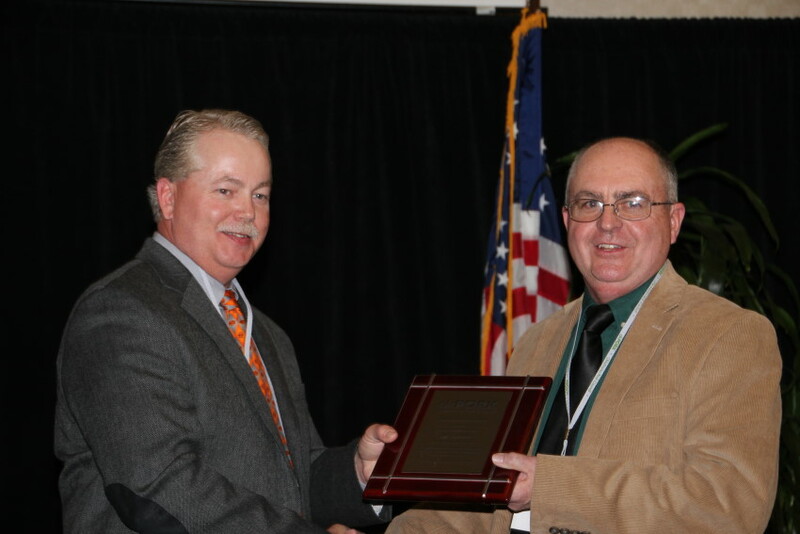 As a result, QC Supply of Holdenville was honored with the okPORK Ambassador Award for their support of Oklahoma’s pork industry during the awards banquet at the 2013 Oklahoma Pork Congress. The Ambassador Award is presented to those who do not work directly in pork production but support it through their careers or participate in advocating for the industry on their own. From its humble beginnings in a garage, selling livestock products to local producers in 1982, QC Supply has grown into an international distributor to farms, businesses and resellers worldwide. QC offers thousands of brand names, as well as hard-to-find products. QC has its own, patented line of clothing, fans and heaters. Headquartered in Schuyler, NE, QC Supply is comprised of a call center, retail store and a 93,000 sq. ft. warehouse. Other warehouses are located in Missouri, Oklahoma, Minnesota and Iowa. “Also, Dan Johnson runs the store in Holdenville and many of us - if not all of us porkers - have his cell phone number in case we have an emergency after hours,” King continued. “He is always willing to go open the door for us on Saturdays when they are closed or he will go up to the store and let us get what we need.